Christmas is right around the corner and I don’t have good gift ideas for my spouse. He loves beer though so I thought you might be able to point me in the right direction. Great question. I’ve been thinking about this myself lately, if only one of my loved ones was a beer lover I might have started my Christmas shopping by now. 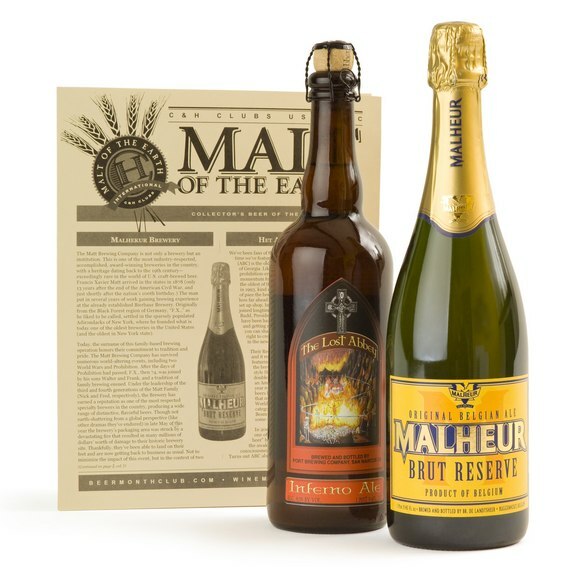 Here are 12 great beer-centric gift ideas, most of which can be purchased online. In each case just click on the appropriate links to be directed to the appropriate site to buy and/or learn more about said gift. This gift speaks for itself. Yet I can’t resist the urge to quote a few lines from the Tony and Shemps classic “Goodbye to Us, Hello to Me”. 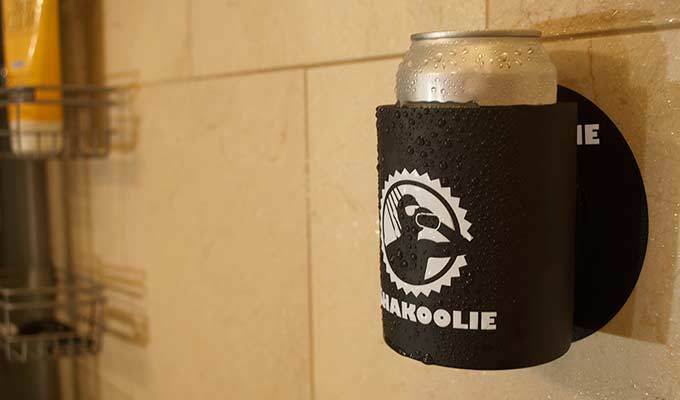 Once you’ve equipped your shower with a wall mountable koozie the next thing you need is beer soap. Touting the cleansing qualities of beer is not a new thing. Does anyone remember the shampoo, Body on Tap, marketed in the 1970s and made from 1/3 real beer. If you are too young to remember this you might want to head over to youtube and see the commercial I remember from my youth. Sadly Body on Tap is no longer with us, so I’m going to recommend either the Dogfish Head soap, made from 60 minute IPA, or the Sierra Nevada hop soap. 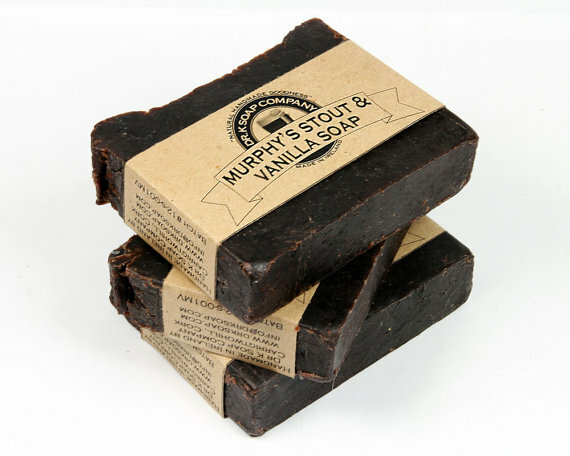 Dogfish Head also makes something called Beer Shampoo Bar, so it is possible to go almost 100% beer with your morning routine. I was not able to find Beer Toothpaste, but I think that product is normally just marketed as “beer”. In Belgium it’s not uncommon for every brewery to make a glass specifically designed for their beer. 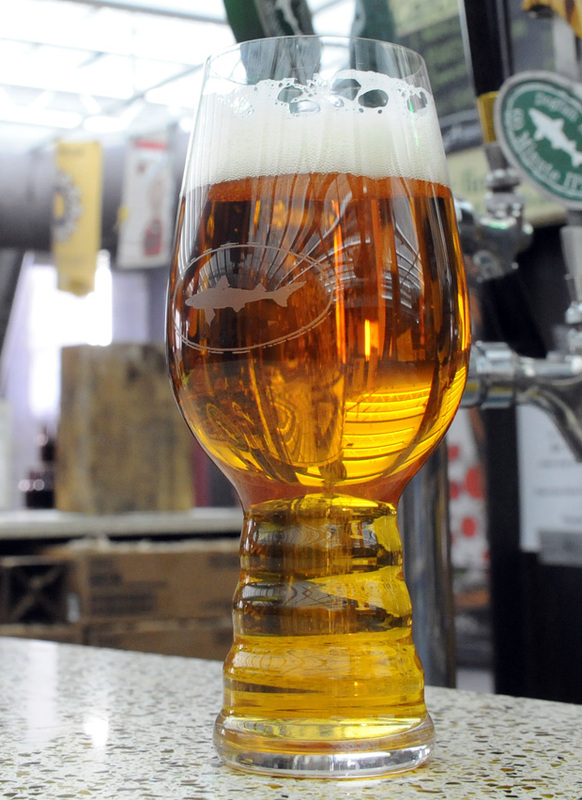 Craft brewers in this country are a bit behind that trend, but this year Dogfish Head, Sierra Nevada and Spiegelau glass company designed and released a glass specifically designed for hoppy American IPAs. The tulip-like top helps keep the aroma in, while the ridged swirly bottom is meant to keep the carbonation coming. According to Tom Aguero’s review of this glass it does a superior job of keeping the hop aroma fresh over an extended period of time. Plus it looks like something straight out of the Star Wars Cantina scene. 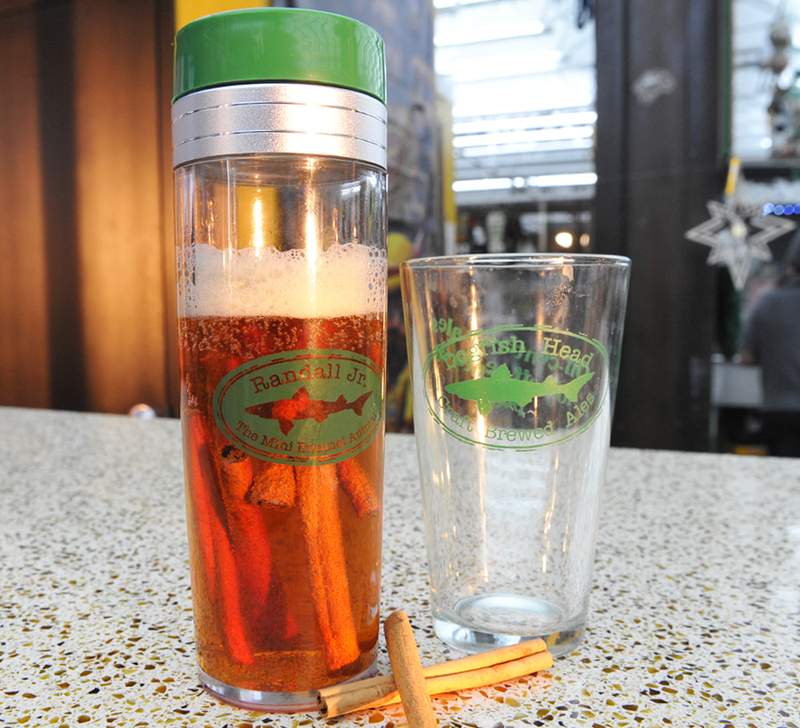 You can buy them from either Dogfish Head or Sierra Nevada (while you are ordering your beer soap) or off of Amazon. For beer geeks like myself reading about beer is the next best thing to drinking beer. Here are some good choices, though not exhaustive by any means. You can get these books through the normal channels (Amazon, ibooks, and possibly your local bookstore). 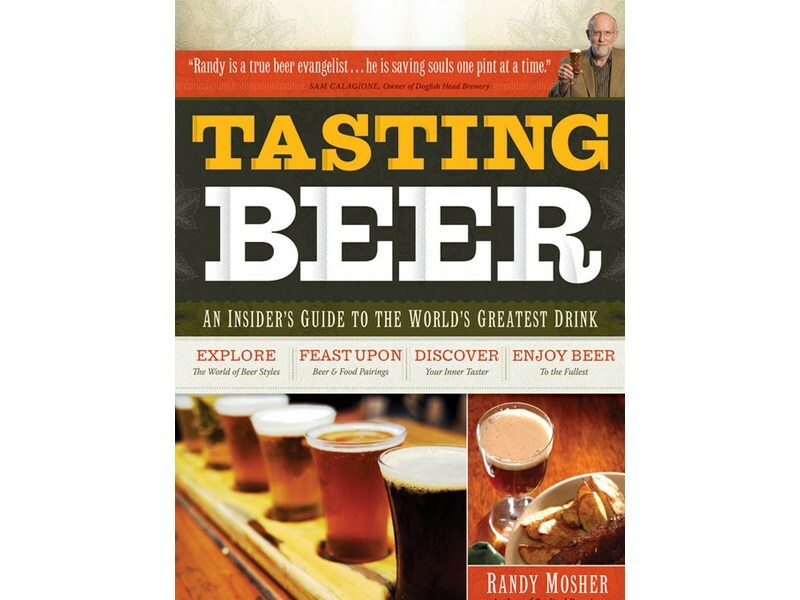 Tasting Beer by Randy Mosher ($11) – This book covers styles of beer, chemicals that give beer its flavors and tastes, guidance for tasting and reviewing beers, beer and food pairings. It’s very easy to read and has the right amount of detail. I think it is one of the best general beer books out there. The Naked Pint by Christina Perozzi and Hallie Beaune ($13) – This one is a little older, but Perozzi and Beaune also known as the Beer Chicks have an informal, tongue in cheek writing style that I enjoy. Written for someone getting into the world of craft beer. Great American Craft Beer: A Guide to the Nation’s Finest Beers and Breweries by Andy Crouch ($19) – In this book Crouch profiles 340 different American craft beers covering 80 different styles. It’s not so much a book you read from beginning to end, but great for leafing through and as a reference. For the Love of Hops by Stan Hieronymus ($14) – I don’t own this book but it looks interesting to me (translation – would be a good stocking stuffer for yours truly). As suggested by the title it is all about hops. If you are not a fan of hops, Hieronymus has several other books that might be more up your alley. Beer magazines are similar to beer books, but with more up to date information. Two good choices are Draft (6 issues/1 year for $19.99) and Beer Advocate (12 issues/1 year for $29.99). I’ve had a subscription to Draft magazine for the past year and it’s always got interesting stuff. I spend a lot of time on the Beer Advocate web site, and I’m sure the magazine they put out would make for an interesting read. Here is the one gift you can’t get anywhere else. Those of you who have been to one of my holiday parties know that I like to make up a new game every year. 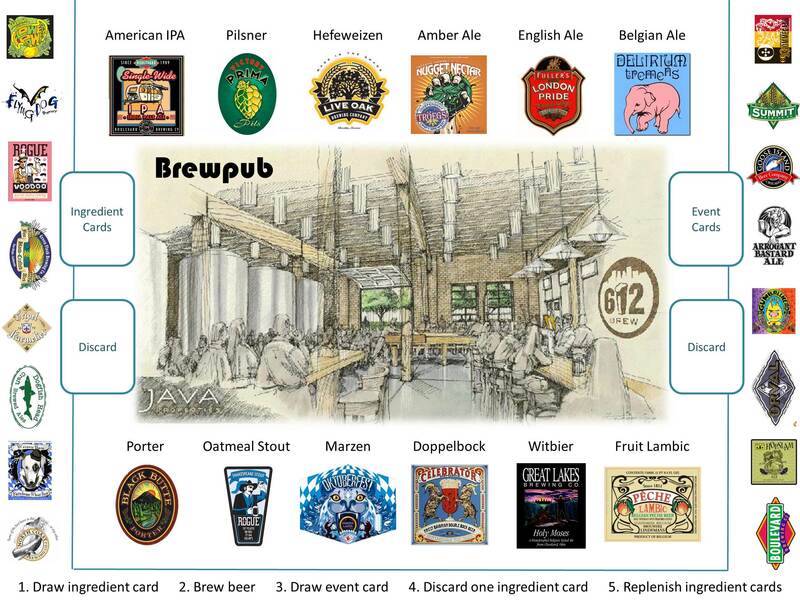 Last year I put together a game where you own a brewpub and have to gather ingredients to make each of 12 styles of beer. Each round contains a trivia questions about beer, music, geography, movies, etc. that you can answer to build up your food menu and book weekly entertainment at your establishment. It’s culmination of 12 years of making complicated party games. Those of you who have played this game may want to leave a comment to orient the uninitiated. Warning, some assembly required. What I offer here is to send you all of the files to create the game yourself. To get the version of the game I have you’ll have to go to Kinkos (or a similar place) and print out the game board out on poster board (shown above). This costs roughly $30, but you could just as well print it out on a piece of paper if you want to go for the low budget version. I’ll also send the ingredient and event cards (all come as powerpoint files). You’ll need to print them out on cardstock and cut them out. To play the game as intended you have to make up a series of playlists on your i-pod or other music device. The upside of the assemble yourself model is that you can customize it to your tastes. Shoot me an e-mail at woodward.55@osu.edu and I will send you the files you need. 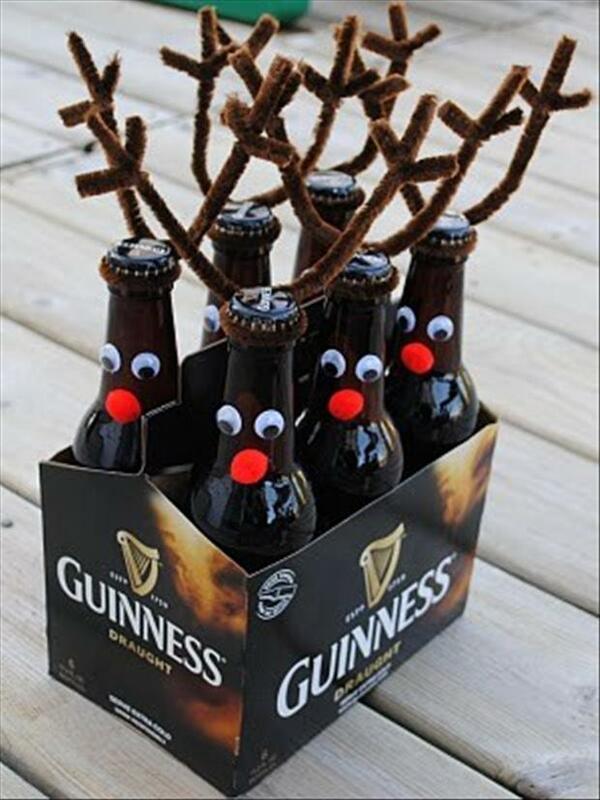 One gift that can never go wrong is beer itself. You never have to worry about double gifting, and as the giver you stand some chance of being on the receiving end of a portion of the gift. 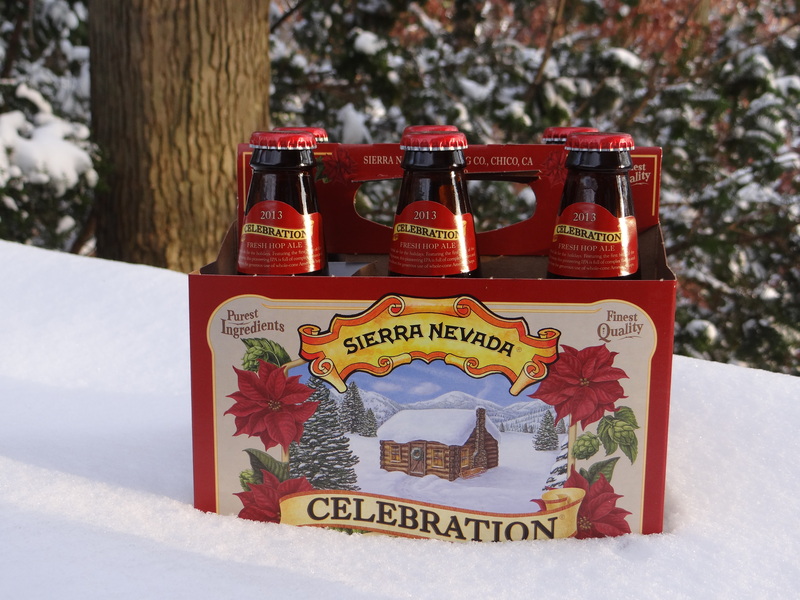 Any beer that matches the tastes of the intended recipient would be appropriate, but beers brewed specifically for the holidays seem particularly relevant. Check out the list of top Celebration Beers put out by Imbibe magazine, it’s a pretty strong list. I might also add St. Bernardus Christmas Ale, 4-Elf by Dark Horse Brewing, 12 Dogs of Christmas by Thirsty Dog, and Great Lakes Christmas Ale to the list. If the beer centered person in your life is intrigued by the thought of brewing his/her own beer, but just doesn’t have enough time/money to follow through (or his wife won’t permit it) then the Randall Jr. might be just the thing. This is a contraption similar to a French press for infusing your beer with other flavors/ingredients. Some possibilities include coffee or vanilla beans with your favorite stout, raspberries or blackberries with your favorite American wheat beer, fresh mint from the garden in your Anchor Steam, fresh hops you’ve grown in whatever beer you choose. This summer I had a cask of CBC Bodhi double IPA with coconut that was amazing. I wonder how close I could come to that with a growler of Bodhi and some fresh roasted coconut. 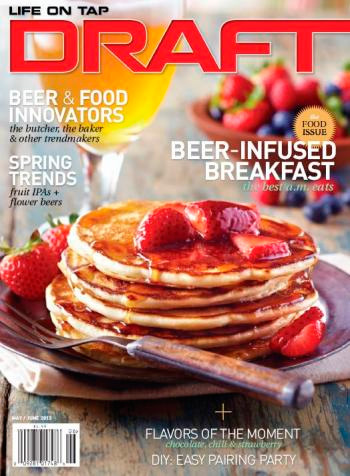 Draft magazine recommends infusing an IPA with fresh Rosemary, a pilsner with fresh chives, and a witbier with tarragon. It’s a small way to put your own unique twist on the beer you drink. 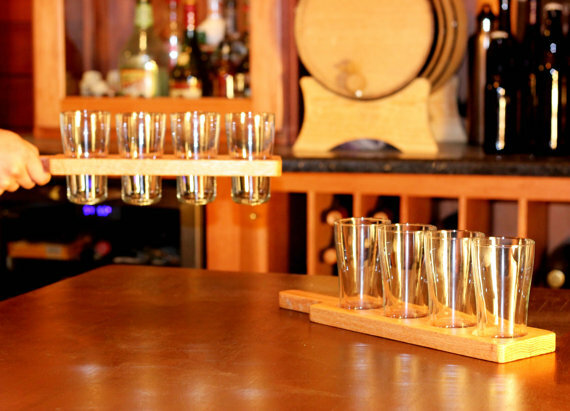 If your beer lover likes to throw beer tasting parties or blind taste tests, a custom made wood paddle with tasting glasses could be just the thing. There are a whole bunch of custom made versions of this product out there. I like the one above because the holes go all the way through the board. I’m thinking this one would be easier to operate as the night goes on and the servers sense of balance and concentration degrades. 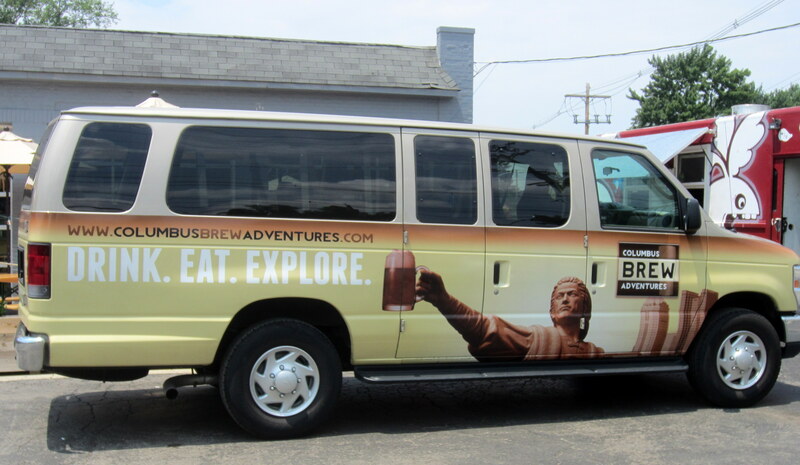 If your beer lover lives in the Columbus area, a Brew Adventures Tour could be a good option. There are various tours which involve being driven to 3 or 4 breweries for tastings and some light snacks. You also get to meet the brewers and hear what they have to say about their brewery and their beers. Some of the tours go outside of Columbus. For more information check out my post from this summer entitled, My Columbus Brew Adventure, where I give a first person account of one of these tours. Receiving a beer of the month club membership is always a welcome gift, but one does wonder if it is a good value for the giver, because once you add the shipping and handling in the beer tends to be pretty expensive. It only makes sense if the beers are high quality and ones that you can’t go down to the local beer store and purchase. This particular club appears to take a serious approach to selecting and shipping you good beers. They have various plans but the one that seems most appealing to me is the rare beer club. You get two 750 mL bottles of rare beers each month. The cost is not cheap $32 + $15 shipping and handling per month, but a lot of these beers would probably set you back that much anyway (if you could find them), minus the shipping and handling. I also like the option of customizing each order before it is sent out so you only get the beers that you really want. To give as a gift you have to order a minimum of two months. Not the value that you would get with the Brewpub game and a bar of Sierra Nevada Hop soap, but the true beer connoisseur may appreciate this gift more. North High Brewing is a relatively new Columbus brewery. 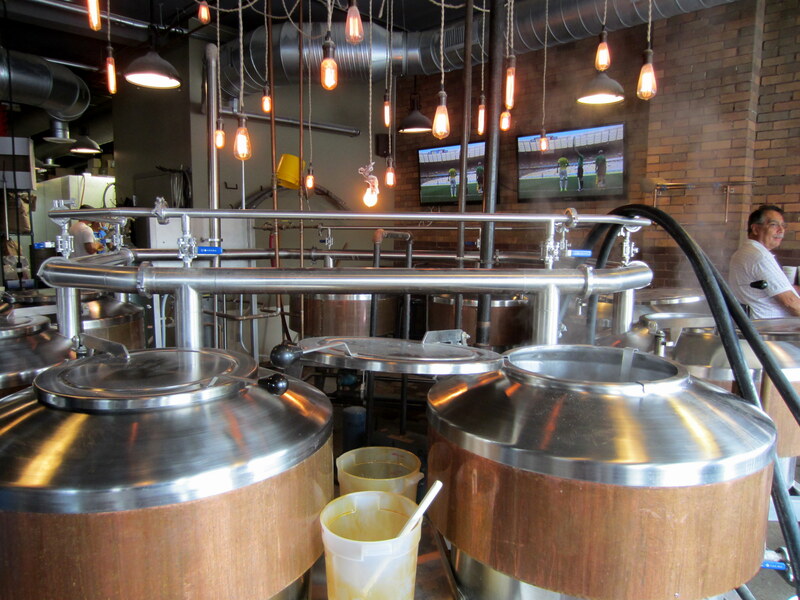 They are set up for customers to come in and brew their own beer. With a menu of over 20 beers to choose from, its an intriguing concept. You even get to make your own labels for the beer. It’s the next logical progression after a night of playing Brewpub and drinking concoctions made with your new Randall Jr. The cost is in the range of $200 (plus bottles) and the yield is approximately 6-7 cases of beer.